MainJudaismMK Uri Orbach and "V'Rapo Yerapeh"
MK Uri Orbach and "V'Rapo Yerapeh"
MK Ofer Shelach of the Yesh Atid party presented legislation to allow assisted suicide in Israel. Contrast that to a Jew's morning prayers. How can one talk about “end-of-life care”, and terminating (a nice euphemism for killing) life, if one cannot even define life. “V’Rapo yerapeh: and the aggressor must pay all the victim’s medical fees” (Exodus, 21; 19). “It was taught in the school of Rabbi Yishmael: ‘From here we learn that a doctor has permission to treat a patient’ “(Talmud, Baba Kama, 85a). “I’m uncomfortable with the concept that life is a quantitative and not a qualitative event… (these are) interesting problems that require a definition of life…I can’t define life precisely enough to be able to know what I am preserving without introducing a statement of quality”(Professor Peter Rosen, Harvard Medical School, quoted in Ethical Problems in Emergency Medicine, Wiley-Blackwell Publishers, pages 119,181). Just this week, MK Ofer Shelach presented legislation to allow assisted suicide in Israel. 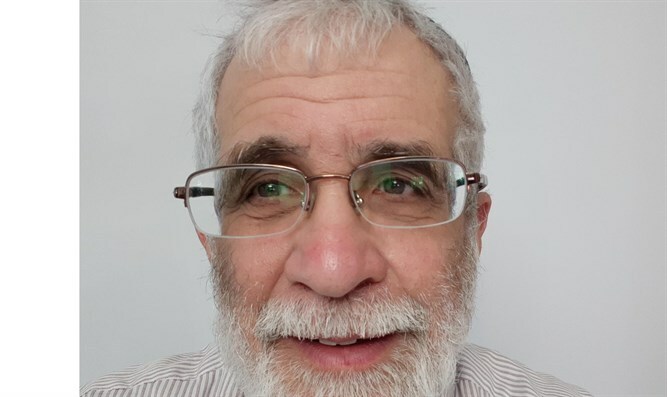 Shelach, of the Yesh Atid (literal meaning“there is a future”- for everybody, except for the intended targets of the proposed law) political party, wants terminal patients to able to ask their doctor to prescribe poison so that the patient can kill himself. Such laws do exist in the US, where Washington, Montana and Oregon have legalized assisted suicide (in Oregon, it’s been legal for 20 years). 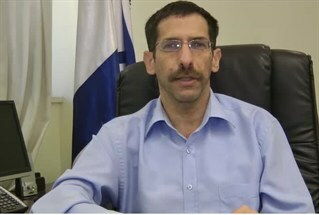 Minister Uri Orbach (Jewish Home party) opposes Shelach’s plans. One modern attempt is via the idea of “emergent phenomena”. I just love quoting from John Brockman’s anthology This Explains Everything, because it includes some of the best thinkers in the physical and social sciences as they reach for the outer limits of human thought. In the book (pages 174-176), David Christian attempts to explain emergent phenomena, life being one of them: “they seem magical and mysterious- but are not, really: all things exist only because many things were precisely assembled. But they don’t exist in the bits and pieces that made them; they emerge from those bits and pieces in very precise ways”. Pardon me, Dave, but you’ve left me with only the magical and mysterious, as you’ve explained nothing; I can take billions of Lego pieces and precisely assemble them, billions of times, and Life will never emerge from them. Tell me, how does Life “emerge” from non-Life? Moreover, in the case of our universe and life in it, who or what did the “precise assembling”? Also, I’m not capable of the leap of faith that allows for an entropic, random world to perform “precise assembling”-it’s a contradiction in ideas. Contrast that to a Jew’s morning prayers. He wakes up and immediately says מודה אני לפניך - I acknowledge before You, living, eternal King, that You have returned my soul to me (after my night’s sleep)”. Later, he expands on this theme: “My G-d, the soul that you placed in me is pure. You created it, You fashioned it, You breathed it into me, You safeguard it within me, and eventually YOU will take it from me, and restore it to me in the future. As long as the soul is within me, I gratefully thank You ”. What a difference between this and our Oregonian assisted suicide! This is NOT my life, whatever life is, for me to take. For decades a Jew daily acknowledges that he is merely the guardian of a sacred gift called Life, and not the ultimate boss of that gift. It is only the Lord Almighty who gives, and may take, Life. Man’s role is defined by the v’rapo yerapeh - permission to heal - with which we started this discussion, and by ונשמרתם מאוד לנפשותיכם - look after yourselves very well(Deuteronomy 4;15), which our Sages tells us refers to both our physical and spiritual welfare. As I’ve written before (see this website, The Death of Gay Marriage, June 28,2013) , Life and Death are Chukim: underlying laws that the Lord set into this universe. Such laws include nuclear forces, gravity, and Life and Death; they are givens which we cannot change, nor understand why they are as they are. Interestingly, as I wrote there, history has seen a constant parade of those who attack Chukim; and as with the gay marriage issue in Israel, it seems that Yesh Atid always comes out on the side of the attackers. The doctor looked at the chart, and saw that the fluids had been ordered 70 minutes ago; i.e., the patient had been there 70 minutes in shock without the doc even being told of the man’s existence. The doc walked into the man’s room, and he just lay there, not moving, still with a shock-y blood pressure, and low blood oxygen. A nurse said that the patient’s nursing home had called, saying the man was to have “comfort measures” only. The doc asked the nurses if they had any problems giving the man fluids and noradrenalin IV, and one nurse volunteered to do so. The doc then called the family, who mentioned that “in talking to the patient two days ago he seemed just fine, making sense and all”. The doc told him that “you’re father is a sick cookie, I don’t give him a 50% chance of living till the morning, but we are going to treat him”. With that, the doc went to make arrangements to admit the patient to ICU. But by then, the doctor from the next shift came on, and he said to treating doc:” I thought the nursing home had instructed comfort measures only”. The treating doc answered:” Doctor, don’t tell me how to treat septic shock”. Our doc knew what that meant. “Come with me”, he said; he took the nurse to the bedside. “How do you know that this guy, lying immobile, only moving ( and mumbling) if I stimulate him, is in pain?”. Besides, the doc well knew that a slug of morphine would probably make him more shock-y, and possibly stop his breathing (and with the DNR order, if morphine couldn’t be reversed, the doc could not put the man on a ventilator). Nurse:” He’s so sick, he must be in pain”. Doctor: “I didn’t take an oath to eliminate all pain”. Actually, some geniuses in America did think doctors did take such an oath. Thus, twenty years ago, the agencies which accredit docs and hospitals mandated that all pain must be eliminated or a patient has not been adequately treated. The result has been an epidemic of narcotics addicts across fifty states, with up to one third of the country abusing prescription hydrocodone,etc. and/or being on phony disability for imagined pains. Our model, the US, is a population rotting from within, thanks to misguided social engineers like MK Shelach. Back to our doctor: 36 hours later, the 95 year old was in the ICU telling stories how he was a logger, working local forests till age 88. For his troubles, even though he knew that “DNR” does not stand for “Do Not Treat”, the doc received a reprimand from administration that in the future he should not ignore DNR orders or he could be putting his hospital credentials in jeopardy. Forget any kudos for saving a life. At the same medical conference, several aspects of ObamaCare(AHCA) were discussed. One little tidbit was that a neurosurgeon had been called to Washington, DC for a planning meeting. One bit of proposed legislation was that “a unit 76 years old and up who has head trauma and a bleed inside his head, cannot have surgery unless the hospital ethics committee OK’s it first”. A unit is an entity that used to known as a human being. It is noteworthy that most older units who fall, tend to fall in the middle of the night, and at 3 am you are never going to be able to convene an ethics committee. Scratch one more unit. Or maybe MK Shelach would like to copy this little bit of law: per ObamaCare, starting January 1, 2016: if a 72 year-old unit has a STEMI (heart attack to all uneducated units), Medicare will no longer pay for an emergency cardiac cath and stents. Sayonara, another unit. The “slippery slope” argument is not a specious one. Thirty years ago, nobody in the US would have approved of gay marriage, or assisted- suicide, or other attacks on Chukim by people “uncomfortable” with them (again, see the Death of Gay Marriage). Dr. Peter Rosen is a moral man (once even saving a Jehovah’s Witness by giving him surgery and blood, in a humorous incident recounted in Ethical Problems, p.182); the bureaucrats who administer ObamaCare are not. If MK Shelach wants to imitate America, he better be aware that the bureaucrats who run ObamaCare are the same ones who show up with Sec. State Kerry in droves to do a “merciful” job on the Jewish people. We should be a “Light unto the Nations”. Not a follower, nor a chump; this aggressor will not pay our medical fees.